Colorado Gadget Fix offers an unbeatable Industry Leading Warranty to all of our customers. We understand warranties can be vague, misleading, and over all confusing so we want to be transparent with our warranty on all the services we offer! We want our customers to trust us with any work performed or services offered, and strive to have your trust 100% of the time. Below we will break down our warranty information, please take a minute to read if something is unclear, or just to check if a purchase of yours is under warranty! Colorado Gadget Fix does not accept returns and all sales are final with no exceptions. If the device that was purchased does malfunction, Colorado gadget Fix will exchange or repair it and the warranty policies below shall be the customers exclusive remedy. Colorado Gadget Fix will repair or exchange your device at our discretion. Colorado Gadget Fix allows an exchange within 30 days after the date of purchase. The exchange must be for the same or higher price as the item exchanged. If the device is a higher price than previously purchased, customer must pay the difference of the higher priced item. Colorado Gadget Fix 100% warrants that the device is in good working order for 30 days after the date of purchase (unless otherwise stated). 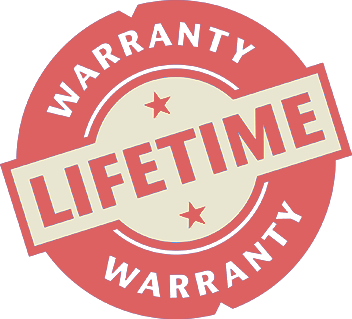 We offer a limited lifetime warranty on all Apple screens and screen repairs. We offer a 90 day warranty on all other repairs (unless otherwise stated). If the original screen on a device is defective (Touch issues, Lifting issues not due to ANY physical damage) Colorado Gadget Fix will cover the screen repair which includes parts and labor. Colorado Gadget Fix has the right to decline any warranty on a device if deemed reasonable within our warranty disclaimer. Any device sold by Colorado Gadget Fix that has been opened by anybody else but an Colorado Gadget Fix technician, team member, or manager will automatically void any warranty your purchase carries, absolutely no exceptions. Colorado Gadget Fix’s limited lifetime warranty covers any manufacture related part defects installed by Colorado Gadget Fix and does not cover any other additional damages proceeding the repair. With our “hassle free” warranty, if we repair your device and the part installed is defective, we will replace it under our manufacture lifetime warranty as long as there is no physical damage or liquid damage. For repairs covered by our warranty, we will repair your defective part free of charge. Defects include, but are not limited to, touch issues, screen sensitivity issue, or lcd frame lifting. What does my limited warranty not cover? Colorado Gadget Fix’s limited warranty does not cover any physical damage, liquid damage, accessories, any normal wear and tear and any component board repairs. If liquid damage or any physical damage occurs after a repair is completed and paid for, the warranty Colorado Gadget Fix provides will be voided. Examples of voided warranties can include but are not limited to: LCD or LED cracks, completely black screen but sound is still able to be heard, software upgrades leaving the device non responsive or unusable, device failure, any liquid damage, frame or housing damage, bent devices, microcracks, deep scratches, white lines, red lines, green lines, any display colors other than installed. Colorado Gadget Fix has the right to reject any type of warranty work if a team member feels a warranty has been voided by physical damage,or through tampering from a person or 3rd party. Colorado Gadget Fix will allow returns for cases for store credit if the case purchased was for the wrong device and is still in its original retail packaging. The exchange must be for the same or higher price as the item exchanged. If the case is a higher price than previously purchased, customer must pay the difference of the higher priced item. Colorado Gadget Fix does not give refunds for any accessory purchases. Colorado Gadget Fix does not offer a warranty or return policy on any chargers sold. Colorado Gadget Fix offers 2 options on your tempered glass purchase. On our standard option we do not offer any kind of warranty. If you chose our Lifetime Warranty option the warranty details are as follows; If you crack your tempered glass, you are allowed unlimited replacements for your tempered glass on the device the original tempered glass was purchased. Colorado Gadget Fix’s lifetime warranty on tempered glass is made exclusively for the purchase from the original customer and original device, therefore, is non-transferable. Colorado Gadget Fix offers liquid damage repair for Data Recovery only. If you insist on having the device repaired for use, we do not offer any kind of warranty. Colorado Gadget Fix does not offer any warranty on any liquid damaged device. Any device that is left at any Colorado Gadget Fix facility unclaimed or with an overdue invoice for more than 30 days from check-in will receive a phone call and email. We will explain via phone call, voicemail, and email that it the 30 day window is coming up and on the 31st day we will break down the device to recoup our cost. Colorado Gadget Fix will have no legal requirements to fix, replace, refund, or recover any device left with us after these 30 days. Customer is responsible for removing such Sim/Chip or USB Dongle/Adapter prior to check in process. EXCEPT WHERE PROHIBITED BY LAW, COLORADO GADGET FIX WILL NOT BE LIABLE FOR ANY INCIDENTAL OR CONSEQUENTIAL LOSS OR DAMAGE ARISING FROM THE DEVICE OR REPAIR SERVICES, WHETHER DIRECT, INDIRECT, SPECIAL, REGARDLESS OF THE LEGAL THEORY ASSERTED. COLORADO GADGET FIX IS NOT AFFILIATED WITH APPLE INC OR ANY SMARTPHONE MANUFACTURER AND YOU UNDERSTAND THAT BY ALLOWING US TO OPEN YOUR DEVICE THAT IT MAY VOID ANY WARRANTIES OR EXTENDED SERVICE PROGRAMS PROVIDED BY APPLE INC OR ANY OTHER THIRD PARTY INSURANCE. These Terms (and any agreement or sales or purchase order into which they are incorporated) shall be construed, interpreted, and enforced under and in accordance with the internal laws of the State of Colorado, excluding its conflicts or choice of law rules or principles that might refer to the law of another jurisdiction. Customer agrees to exercise any right to remedy in connection with these Terms or otherwise in connection with the purchase and sale of Products exclusively in, and hereby submits to the exclusive jurisdiction of, the Courts of Colorado Springs CO.